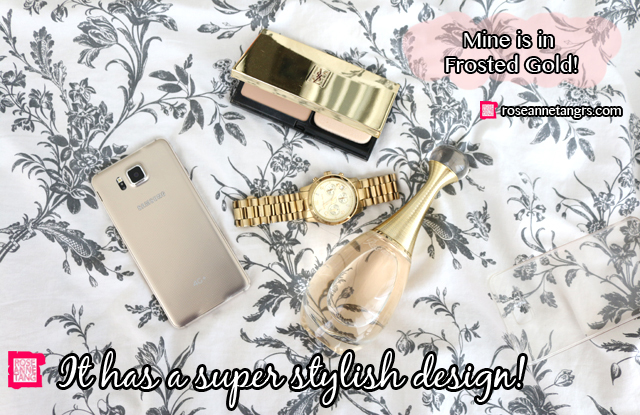 My Gorgeous Phone – the Samsung Galaxy ALPHA! 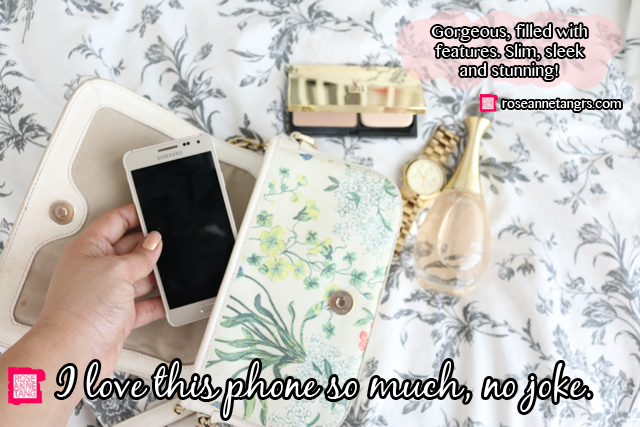 A phone, like my make-up, is definitely a “can’t live without” item. I’m on my phone literally all the time, probably a little too much. 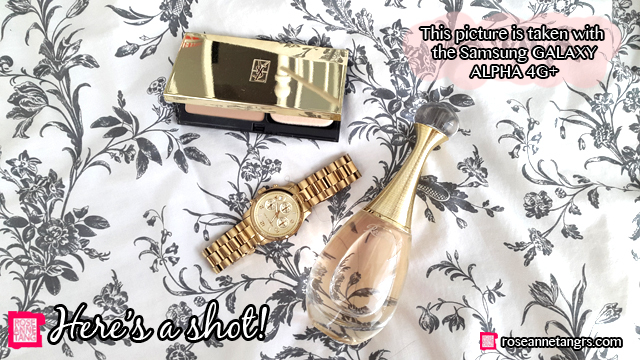 I’ve been using a new phone for about a month already and I have fallen major head over heels in love with it and want to share it with you- it’s the Samsung GALAXY ALPHA 4G+. Previously, I had the Samsung GALAXY K Zoom and even though it was a great phone with an amazing camera, it was a little too bulky to heave around. I needed something slim, sleek and stunning and I found just that in the Samsung GALAXY ALPHA 4G+. I got the one in Frosted Gold, but it also comes in Dazzling White and Charcoal Black. Frosted gold is gorgeous and probably the prettiest color in my opinion. It matches all my other gold accessories really well and my go-to Tory Burch. The beauty of this phone is its ridiculously beautiful design. The design is super sleek and the phone feels extremely light. I even grabbed my friend’s iPhone 6 to make a comparison and this phone is actually a lot lighter. It’s pretty much the lightest phone I’ve ever carried and a drastic change from my previous K Zoom. It’s also thin enough to slip into my pocket or small party or dinner bags which makes it really convenient to carry around. 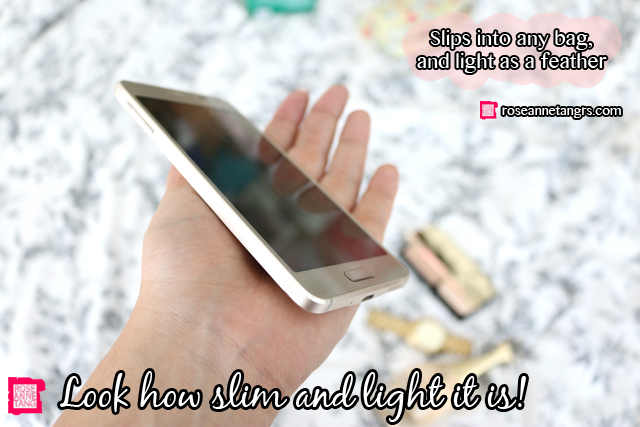 In fact it’s only 6.7mm thin – the slimmest GALAXY form ever – and features a genuine and artist-crafted metal framing that is the key design feature of this phone. Despite how slim and light it is, it sure packs a punch with an amazing Octa Core Processor and 4G+ LTE Cat 6 capability supporting up to 300Mbps speed. It’s an extremely fast phone that is also extremely comfortable and easy to type and hold. I thought I would miss my previous phone’s camera but I was really surprised by the image quality of this camera. In fact a lot of my pictures that you currently see on Instagram are shot with the Samsung GALAXY ALPHA 4G+! 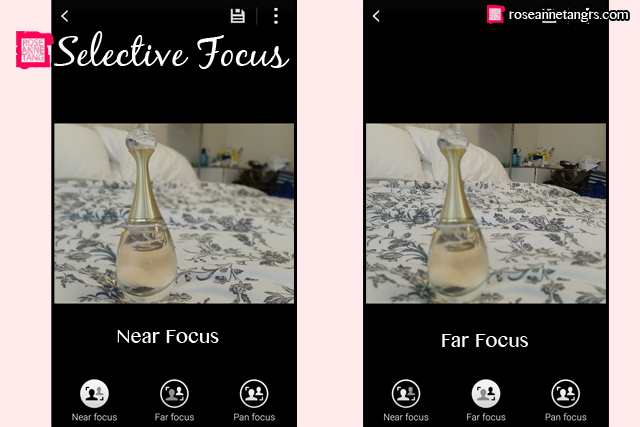 Some amazing features of the camera include a fast autofocus which instantly focuses on an object. It’s that double circle thing you see and it’s extremely useful when you need to take instant shots. 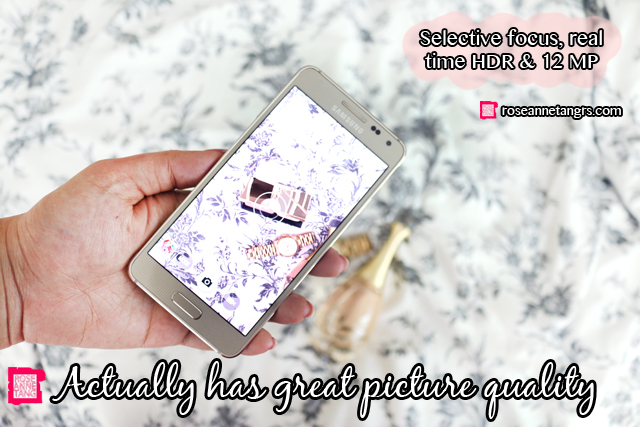 Last but not least, Real Time HDR preserves light and color so photo output is as close to real life as possible and you get to enjoy life-like color vibrancy. In comparison to other android phones I have tried, the camera of the ALPHA is of amazing quality and very rich in color. Here’s a shot I took with the Samsung GALAXY ALPHA 4G+. Pretty amazing right? Other additional features include the fingerprint security that you can use to do even more functions than just to unlock your phone. The fingerprint security can also do Web Sign-in that allows log in to password protected sites with fingerprint swiping. You can also keep files private with just one finger swipe by hiding personal content in private mode! I love how Samsung has extended the functionality of this feature that you may have seen before! This phone also has power saving mode that allows you to minimize battery consumption by turning the screen to black and white and by shutting down all unnecessary features. You can actually extend your remaining 10% battery life by up to 10 hours worth of standby time. It’s incredible if you use your phone as much as I do. If you enjoy keeping up with the latest deals and treats in town, check out GALAXY Life app. It has all the exclusive privileges and customizes everything to your interests! It even recommends apps that you will find useful so your smartphone is truly customized to your needs and lifestyle. How great is that! Last but not least, head on down to any Samsung Experience Store to get the Samsung GALAXY ALPHA 4G+ at only $848! Did I also mention that there is an ongoing promo of free Tab 3 Lite (7.0″) Wi-Fi? Go check it out! Overall, I am extremely extremely happy and in love with this phone. It’s so beautiful and perfect with any outfit I choose. I love how slim, light and sleek it is and typing on it is a dream. It’s also super fast and does not lag and the picture quality is pretty good as well so I don’t always have to lug an additional camera around. If you’re looking to get a new phone, you should definitely look at the GALAXY ALPHA 4G+. Just wanted to also thank Samsung for sponsoring me this phone and letting me fall very much in love with it. Visit http://www.samsung.com/sg/consumer/mobile-devices/smartphone/android-os/SM-G850FZWEXSP for more information! Travel Made Different #SSBD – 10 Amazing Things I Did in Sydney & Melbourne! Smarthpone Samsung is the best at this time, the mobile phone market leader, especially in Indonesia. always comes with a new breakthrough.